Water leaks don’t come out of thin air. In most cases, leaks will start small and grow over time. They can begin as simple cracks and small puddles. The goal is to fix all potential water damage problems before they flood your residence. While it’s impossible to identify all suspects, here are the 10 most likely spots. Hot Water Heaters. About 70% of all water heater failures have been caused by a water leak or sudden burst. To check if this is the source of the water leak, remove the drain pipe and listen for a hissing sound. You may also notice a puddle underneath the tank. These clog all of the time and can become messy if they overflow. But they can also seep water around the seal in the floor. Know where and how to shut off the water supply. Water Pipes. Especially in the winter time, pipe bursts are extremely common as the water expands and adds more pressure to pipes. Inspect each one thoroughly for any drips or small holes. Refrigerator/Freezer. Because it is constantly pouring water, ice maker leaks are very common. To see if there is a leak, unplug the appliance and inspect the back of the freezer or freezer to find any water damage on the wall. There could also be a small hole or two in the pipes if they are plastic. If you see any dripping, consider replacing the tubes with copper pipes. Any gutters containing significant amounts of leaves, dirt, and other debris can cause water to flow over the side and seep into the foundation; this is a very common source of basement flooding. Showers and Sinks. 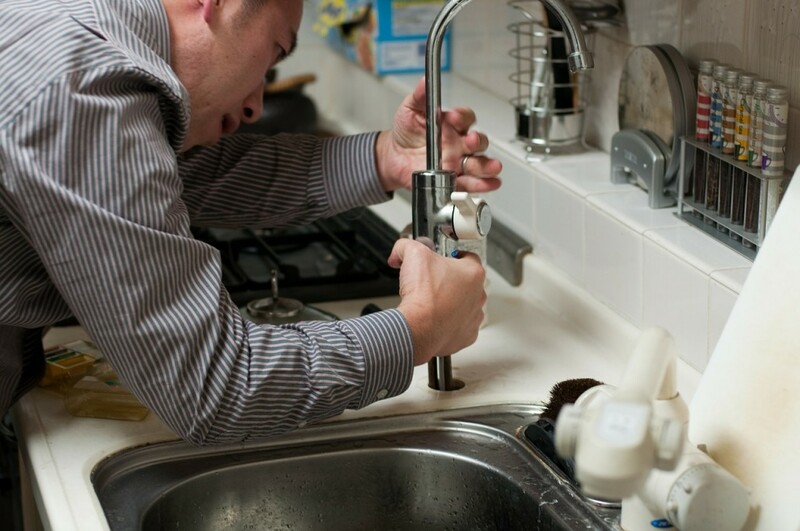 Next, to washing machines, sinks and showers are among the most common sources of water damage. Any holes in the water supply lines or worn-out caulking can spring major damage at any time. Sump Pump. Especially after a big storm, sump pumps can fail and create the risk of basement flooding, if it hasn’t happened already. After repairing the pump, it would be best to schedule annual maintenance and inspect its condition to prevent future failures. Air Ducts. Because they are connected to the air conditioning unit, it is common for moisture to accumulate within the ductwork and spring a leak. If you notice any condensation on the air registers or ducts themselves, you may find a leak in another area. Don’t wait until the last minute to call a professional if you suspect a water leak. If water is not thoroughly cleaned and dried, you’re risking your home in more ways than one. Our trained professionals at Restoration Experts will inspect the area, determine risk levels, and get to work extracting the water. Call at 1-877-721-8812 today or visit www.getrestorationexperts.com.